Apparently, a heat-resistant chocolate arms race is happening right under our noses. Could this generation be the one to finally see chocolate that truly does melt only in your mouth and not in your hand? Mondelez, the company behind such brands as Cadbury and Toblerone, has patented a technique that they claim prevents chocolate from melting at temperatures up to 120 degrees. That’s a huge leap from typical chocolate melting points, which can be as low as the mid-80s. Even more importantly, though, it’s a much higher melting point than recent innovations made by their competitors. Nestlé, Mars, Hershey and Barry Callebaut have all recently made claims that they’ve figured out ways to make their chocolate more heat-resistant. Last April, Mars claimed they kept chocolate from melting up to about 100 degrees, and Barry Callebaut’s new method raises the melting point only 4 degrees. Hershey was able to keep chocolate from melting at only about 6 degrees hotter than normal, but they claim that their patented process maintains the classic taste and texture. Modelez believes they have mastered all aspects of manipulating chocolate without it losing that chocolate-y taste. 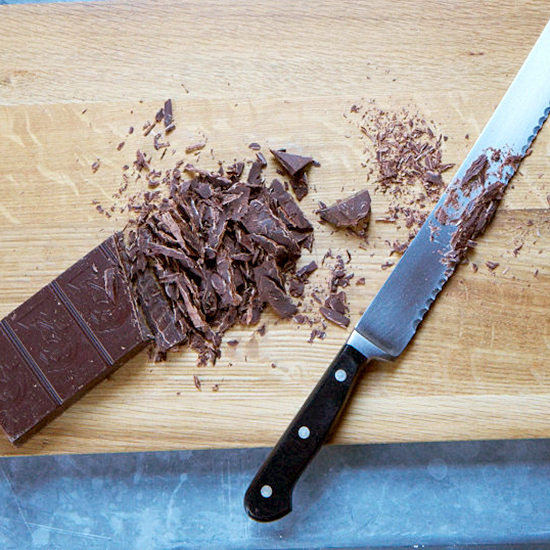 “This method has the benefit of facilitating the production of chocolate with much improved heat resistance whist maintaining satisfactory flavor and mouthfeel,” the company wrote in their patent, according to Food Navigator. For now, though, heat-resistant chocolate seems to be more of an industry obsession than a consumer one.